So here are a few ideas for styling your faux fur vest, along with a few tips for selecting just the right one for your wardrobe. Cut Matters. Pay attention to collar and length of the vest – aim for one that elongates the body and narrows at the shoulders or has a collar. This will help you not feel so bulky in your faux fur. Color Coordinate. As much as you love your faux fur, it will still be something you have to think about before you throw on. Help make it more wearable by color coordinating it to your existing wardrobe. We’ve found that brown tones or cream are easiest to mix in with our current pieces. Pair Down. Pair your vest with a dress, skinny jeans, leggings, or long tunic that elongate your body. Like we said, fur vests add bulk so you want to try to balance this out with longer lines in the rest of your wardrobe. Pair faux fur vest with knee high black suede boots, plaid button up shirt and your favorite distressed skinny jeans. Pair faux fur vest with knee high black suede boots, plaid button up shirt and swap the knee high boots for a pair of cognac heels. Pair faux fur vest with your favorite tunic like this Pleione one from Nordstrom and a pair of black skinny jeans and taupe suede ankle boots like these from TOMS. Still need more ideas? 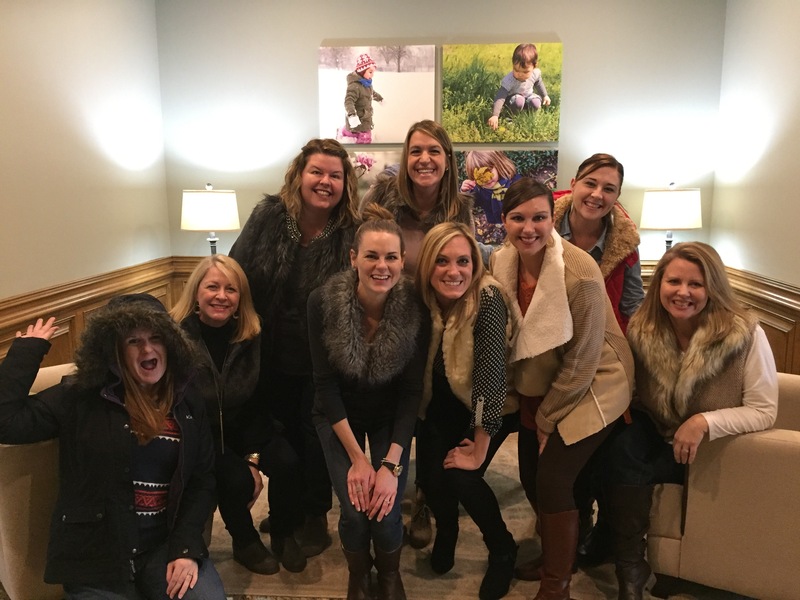 Check out this photo from a recent Faux Fur Friday at the office!